Speak to me only with thine eyes and I will hear every word you say. Unique in a mix of sounds and intonation, an accent can be an aural delight to the listener. Often he or she will stare at the speaker quizzically, and in some cases smile and even comment with something such as, "What an interesting accent you have!" What is really going on in that exchange considering the speaker and listener have their own unique accents? Every person has a specific speech pattern within the first language, based on how and where the language was acquired; and it's usually part of regional, cultural, and personal identity. That is deemed a regional accent or regional dialect. Moreover, when a person takes on an additional language, there's usually a degree of overlay of the first language onto the second, which creates a foreign accent. A close linguistic examination might reveal the person's origins, language experiences, and even socio-economic and educational background. While it does not reveal intelligence or even provide a full picture of competency, it's often interpreted as such or somehow thought to be related; and there the challenges arise. Since this article is written in English, it focuses on people speaking and listening to English, though the issues relate to speakers and listeners of all languages. What happens with accent in general? When people come into communication with one another, what perceptions might arise and do those perceptions make any difference in what the listener and the speaker take from the interaction? What does a listener hear and how is the message interpreted in relation to what he or she is thinking about the speaker? Naturally, as soon as that listener replies, the first speaker becomes aware of that person's accent. Does any of that matter? Does it matter on an acquaintance basis? Does it matter on a social or professional basis? When we hear a speaker's speech pattern, we have a human tendency to make assumptions about that person, which can easily lead to stereotyping and even prejudice. There may be instant observations about cultural identity, which might go to the listener's perceptions about what the speaker thinks or means. That can make a difference in how spoken words are interpreted and possibly in whether they are fully received. Some people rely more on presuppositions, and some even to the point of evaluating human worth. That is a matter of lack of knowledge and perhaps even a lapse of humanity in general. Another consideration is what a speaker hears within his or her own speech patterns and if he or she is able to recognize if the accent is so demanding that it impedes understanding or so distracting that meaning is totally lost. While the speaker is struggling to show his or her intelligence, the listener might be struggling to understand what is being said. That can make the speaker lose confidence and allow the listener to lose interest and enthusiasm toward the exchange. What is the true level of communication, and-we keep coming back to this question-does it matter to either the speaker or the listener? If the answer to that second question is no, it suggests that lucid communication is not important. That's hard to swallow. The way we speak and the way our speaking is taken in by listeners relates to issues of not only cultural identity but of perception of intelligence and level of engagement. In conversations, each person has an accent of some sort, yet many of us make almost instant perceptional interpretations about one another, which may be good, bad or indifferent, but those perceptions and interpretations do exist. So, what exactly is an accent made of? The specifics include variations of the basic segments of sound (vowels and consonants) and suprasegmentals (tone, stress, vowel length, nasals and aspiration, and effects that extend over more than one sound). 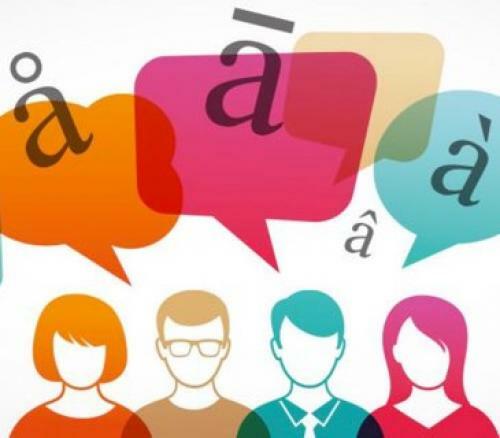 Accent is also made up of variations of word stress, general phrase, clause and sentence stress, and overall rhythm of a language (intonation). A dialect contains some degree of those elements along with variants of word choices and expressions often related to specific regions, ethnicities, and/or socio-economic groups. A foreign accent is when the speaker is pulling sounds and sound patterns from his or her first language to substitute for those that are difficult to make in the new language. A foreign accent often carries the rhythm of the first language over to the new language. A quick example of segments would be a comparison of Spanish and English vowels. English has twice as many vowel sounds as Spanish. It's not unusual for a Spanish speaker to pronounce the vowels in the English words as follows: ship/sheep, fool/full, and so forth. Some sounds do not exist in some other languages; for example, the English sound of th doesn't exist in German, nor does the glottal sound at the end of the German word Bach exist in English. A German speaker is likely to struggle with pushing out the entire th sound in a words such as father, then, three, or he or she might substitute it with a soft s or t sound. An English speaker will tend to pronounce Bach with a k sound substituted for the glottal sound. An example of suprasegmentals would be nasalization of sounds; for instance, in French the word croissant contains a nasal vowel, yet most English speakers will eliminate those nasal sounds to pronounce the word. Also, sounds pitched high in the throat result in nasal sounds that add to the foreign accent in English. Drawing out the vowels in words such as light, two and oh can create slight dialect variations, and using variations in syllable stress in words such as police and ambulance also highlight dialect. Though many people who grew up in India speak a proper form of English, they may also have an underlying intonation of Hindi. To the American ear it sounds like an accent, and to the Indian ear it sounds like proper Indian English. In reality it is a dialect of English, as is North American English and Australian English. None of the above-described types of sounds necessarily hinder understanding, yet some other sounds can be more difficult, especially when they are mixed with heavy first-language intonation. Then, if the speaker also speaks fast, the meaning can get totally lost. For example, if a person has an alveolar trill (a rolled r) in the first language, combined with stronger and faster cadence, the listener might get exhausted just trying to decipher the speech. There are other important aspects related to accent and/or dialect, including word choice, syntax, use of expressions and idioms, and general semantics (meanings). Those features add up to create a level of colloquial speech and pragmatic competency within that culture and/or region. That competency is one of aptitude in practical situations, including knowing when and how to use various expressions and idioms and when to avoid them, knowing how to speak to individuals in regard to their receptivity, knowing how to interact with small homogeneous groups and small diverse groups, knowing how to allow for taking turns in dialogue for shared conversation, and how to speak with larger groups in a manner that is clear, concise and meaningful, how and when to use personal anecdotes, how and when to engage an individual in personal issues, and when to be candid and when to hold back. Pragmatic competency requires cultural and intercultural knowledge, a range of vocabulary to back up that knowledge, and sometimes just knowing when to drop a subject that is over the speaker's head or the listeners' heads, and especially knowing the rules of politeness in the culture. Overall, effective communication skills require a high level of knowledge and intuitiveness. What is a cute accent, and are there values and limitations to such a thing? Anything that strikes another person's fancy might be deemed cute. When a person's speech pattern tickles the listener such that person's eyes light up, it is obvious he or she delights in the interaction. The speaker may get more attention and possibly be able to engage the listener better- at least in the beginning. An accent can have a kind of exotic effect and the power to hold listeners' attention can translate into persuasive power. Accent can be entertaining to others and sometimes even humorous. Nevertheless, sooner or later the novelty wears off and the listener is left struggling to fully understanding what is being said while the speaker might be getting the feeling something is amiss. That can become tiring to both the listener and the speaker, and might contribute to a lessening of interaction, which can be taken as a personal issue. Perhaps there is some benefit to a cute accent, but there is much more value in a stunning accent. What is a stunning accent? It might have all the initial magic of a cute accent but with more lasting value. It may have an exact balance of speech patterns and contain a strong fluency and idiomatic control. In other words, when the speaker begins to speak, the listener gradually engages with the sounds and perhaps occasional notices unusual word choices or syntax, but the listener soon realizes the speaker's thoughts, sentiments, and ideas are being put forth in a compelling manner with meaningful impact. That is subtle yet highly effective. It may even be mesmerizing but never overdone, and the speaker is easily understood. But the most excellent accent cannot be stunning for very long without strong intercultural and interpersonal communication skills. Those qualities don't come from a speaker trying to put on or withhold an accent; they come from just the right measure of modifications to rid the accent of troublesome elements and with highly developed skills in pragmatic competency and communication sensitivities. In a perfect world, a person's speech patterns should not make any difference; still we are human and our brains have specific ways of categorizing things in general, including sounds and people. The human brain has ways of associating feelings to everything we hear. When the speaker struggles with speaking fluently, that interferes with the listener's perception of the speaker's intelligence and it can interfere with the meaning. That becomes uncomfortable with both speaker and listener. Accent modification can help. It is a simply a matter of using a set of exercises to strengthen skills in producing sounds, sound patterns, intonation, and word stress. In addition to areas of articulation, there needs to be a focus on word choices, effective use of expressions and idioms. Almost anyone can modify accent, but it's also important that the individual retain the ability to speak with a measured amount of accent for the situation and the people with whom he or she needs to communicate. If not, cultural identity and feelings of camaraderie can be compromised on both sides. The challenge is to learn the basics of accent modification, then set up practice exercises and provide time to perform them. Without that effort not much will change. A fundamental part of a stunning accent lies in gaining knowledge of cultures and languages and skills in intercultural communication. The only way to do that is to study and to engage with internationals as much as possible. Then, there is the issue of general interpersonal communication skills. Some people seem to have those skills naturally, but others can cultivate them to an effective degree. It just requires learning to pay attention to other people's needs and interests and to learn to draw out other people. There is the ever-present challenge of learning to appreciate other people's cultures and their accents. Often it's not the fact that a person has an accent but that many listeners just don't have familiarity with sounds and sound patterns other than those close to them. That indicates a need for comprehensive and inclusive education of the public in general. Some people tend to over-react to anything different, and some even feel compelled to make fun of the unfamiliar. Education and familiarity help to dissolve those problems. We often don't realize that some sounds simply do not exist in other languages. Some people might quickly criticize others for not learning or perfecting their English, while they themselves may not have taken on the challenge of acquiring another language. We all must strive to become more tolerant and understanding about issues of language and culture. We might ask ourselves why much of the population of the United States seems to place more emphasis and importance on accents. That question takes us into the origins of the US culture. This is a country of immigrants and regional differences, made up of groups of people who have struggled over generations for identity. The solutions to those challenges are complex yet exciting. It certainly requires hard work and increase of knowledge. But what a great human thing to do: learn about languages, cultures, and people in general. Everyone has an accent and variations in speech patterns, and we can acquire an exact balance of familiarity and the exotic or suave. The speech patterns become striking when the listener realizes the speaker uses perfect idiomatic English with pragmatic competency-what a stunning match!